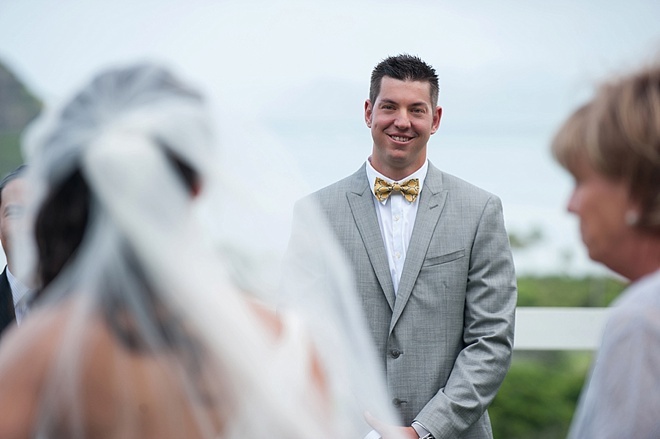 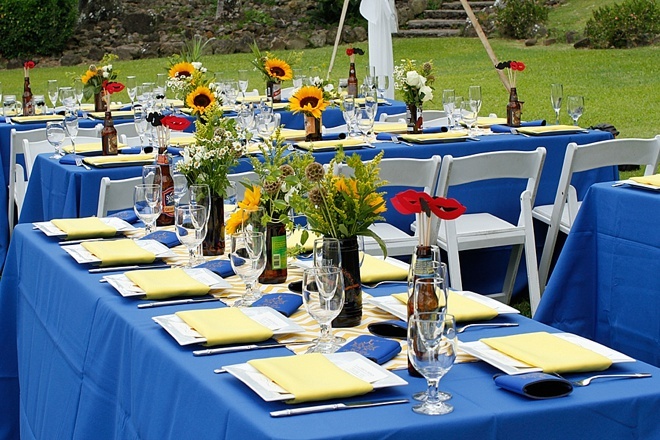 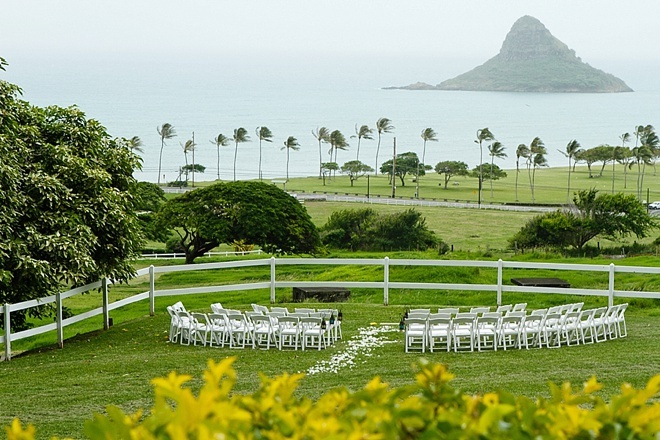 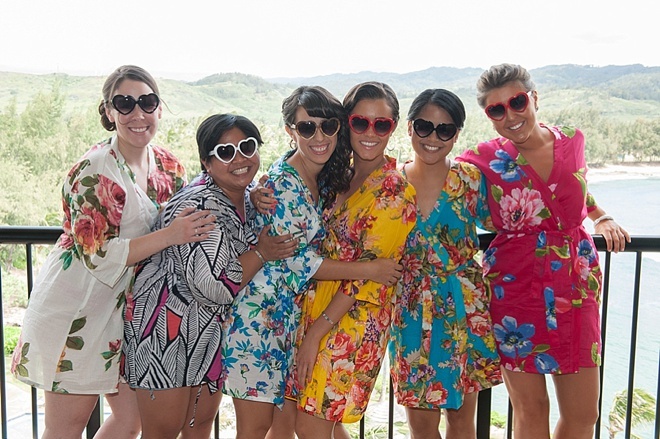 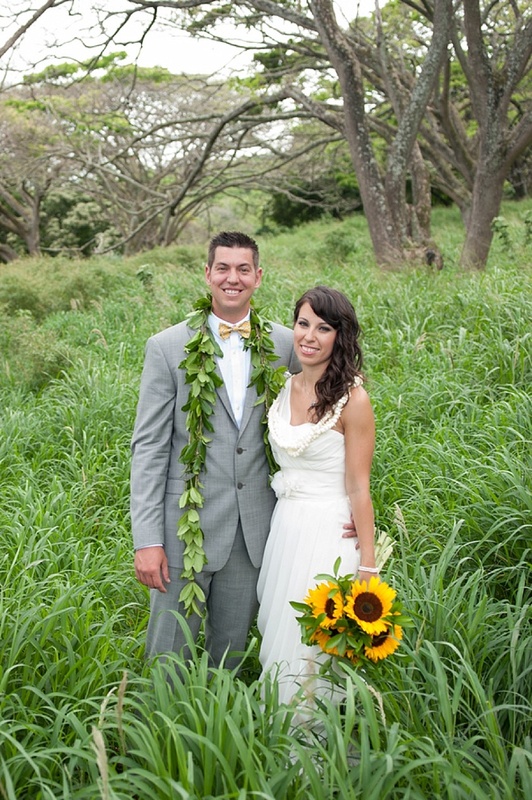 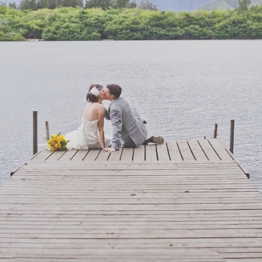 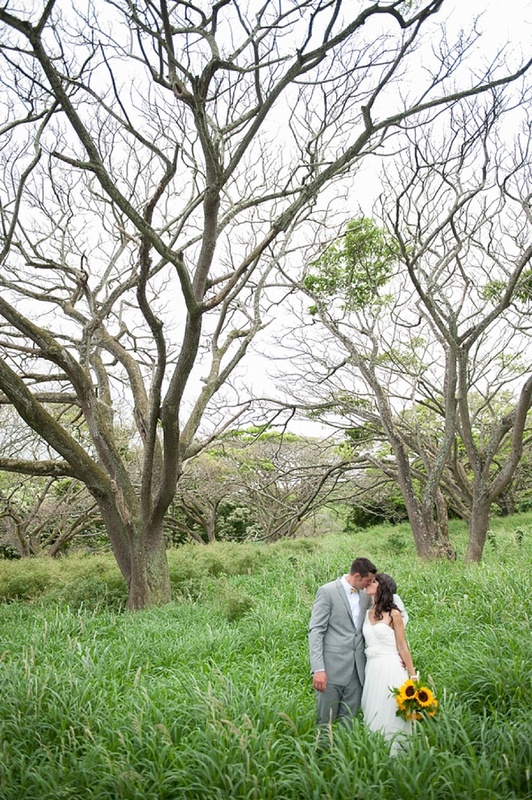 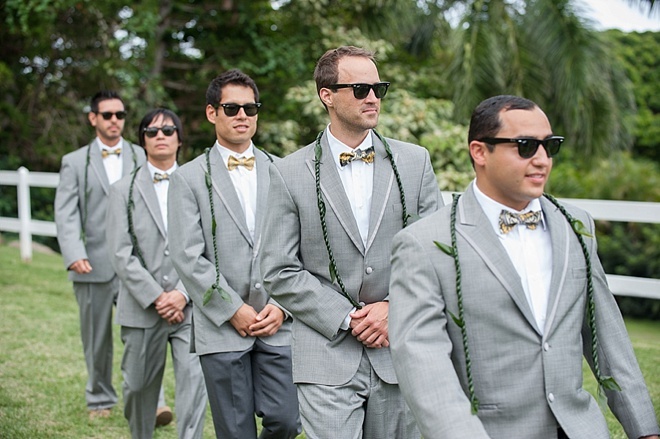 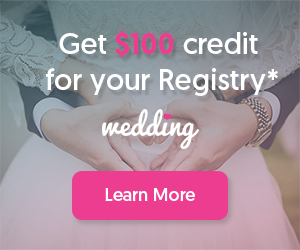 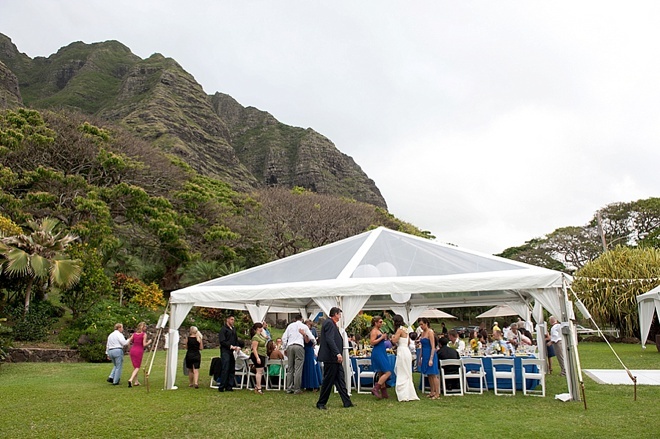 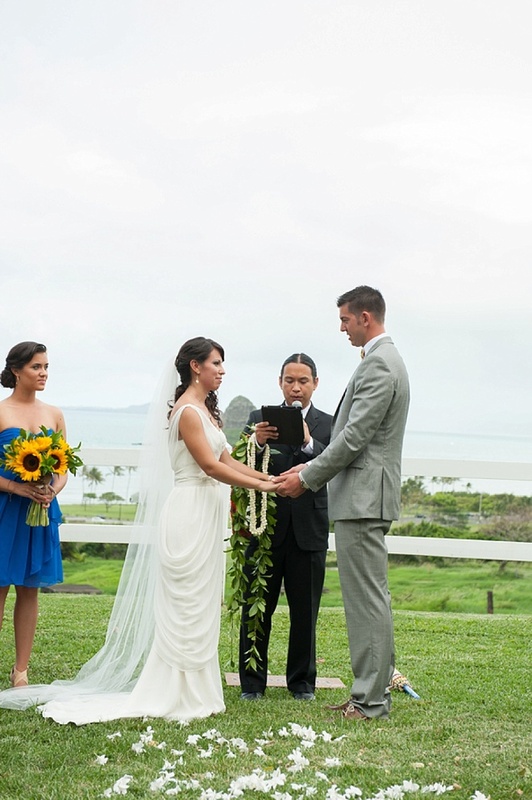 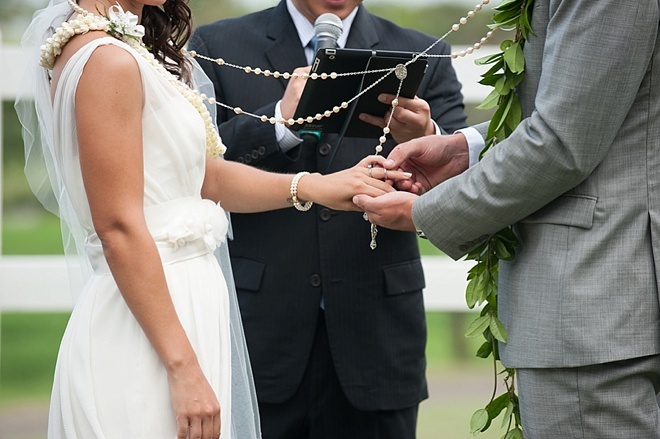 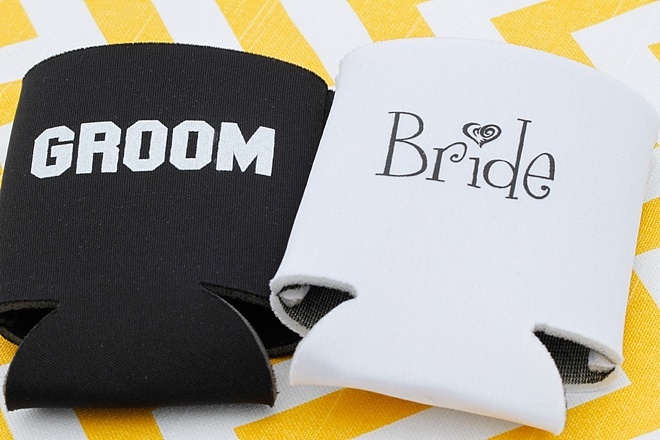 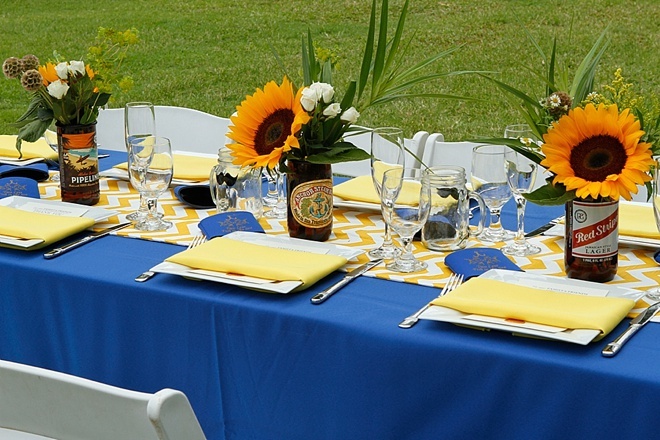 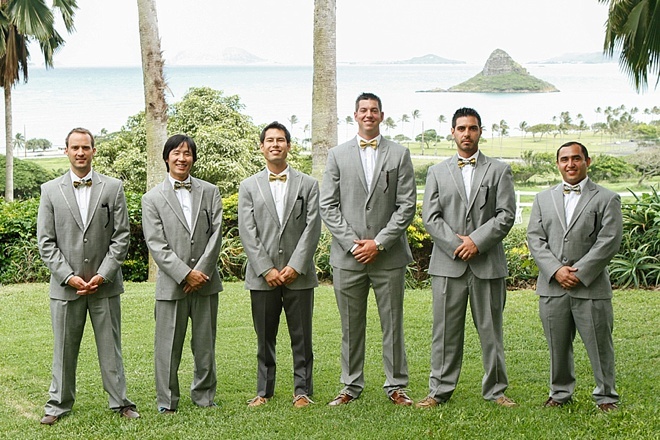 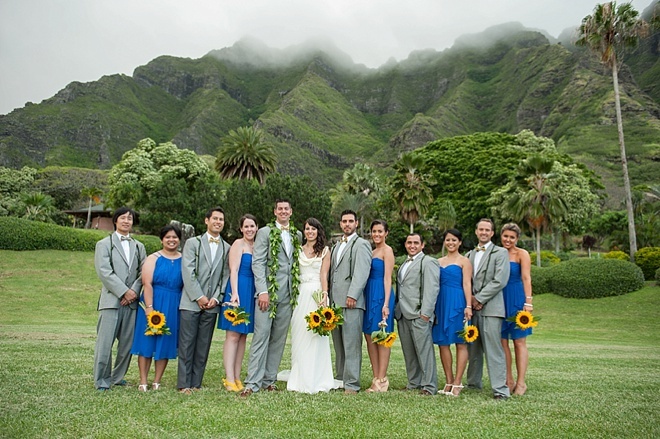 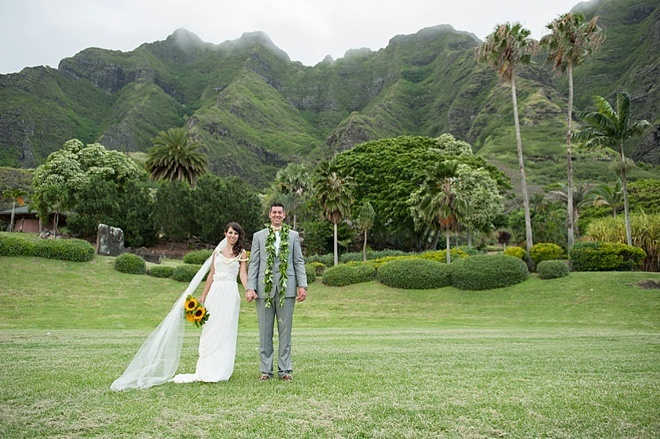 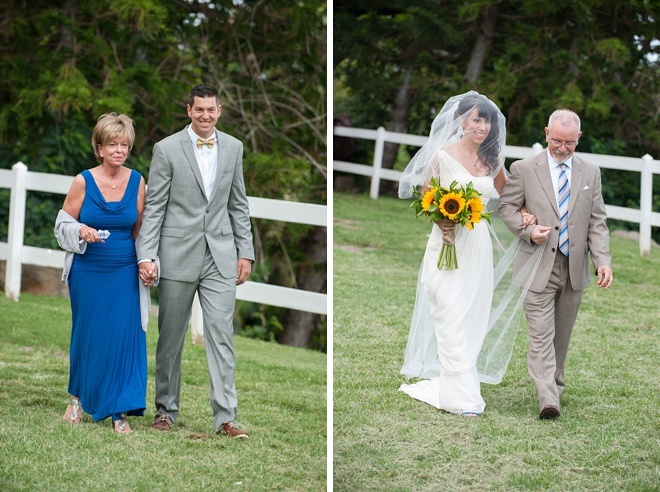 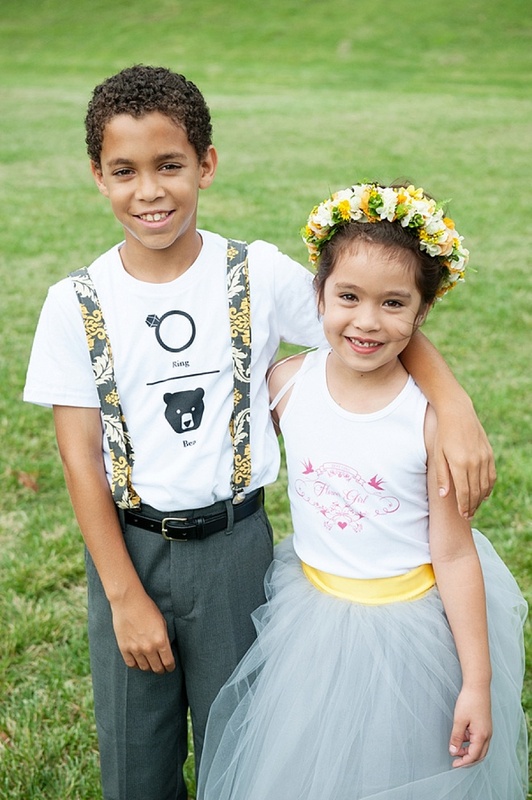 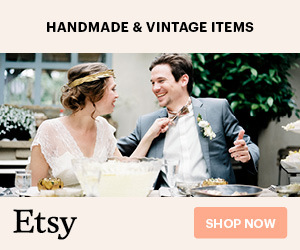 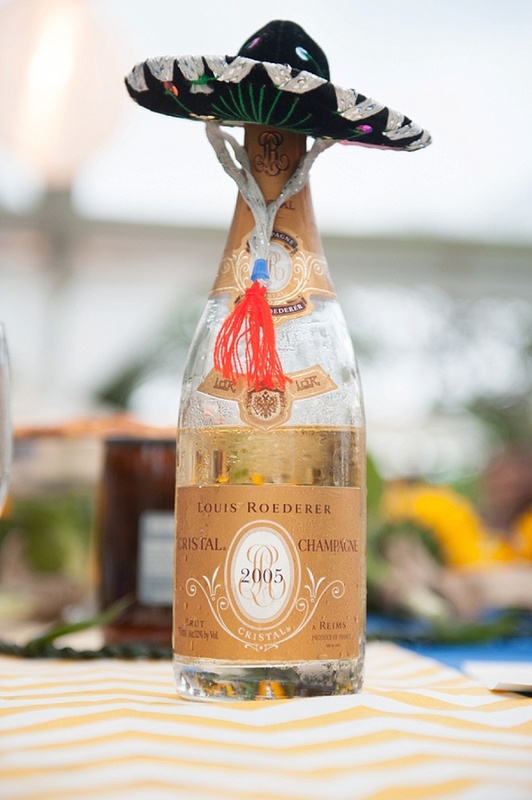 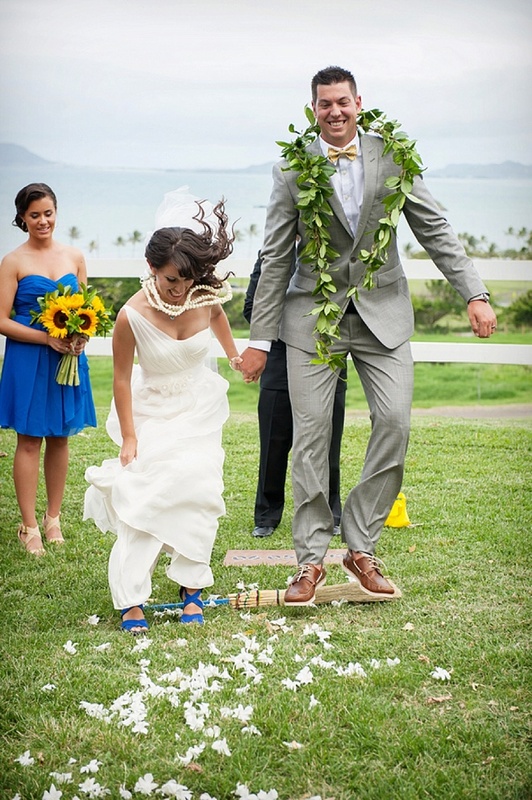 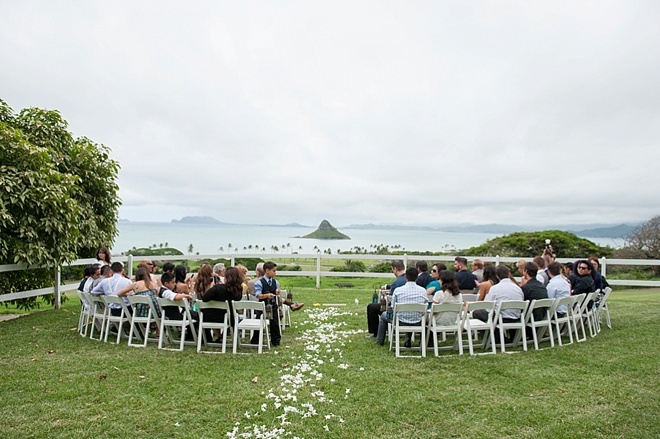 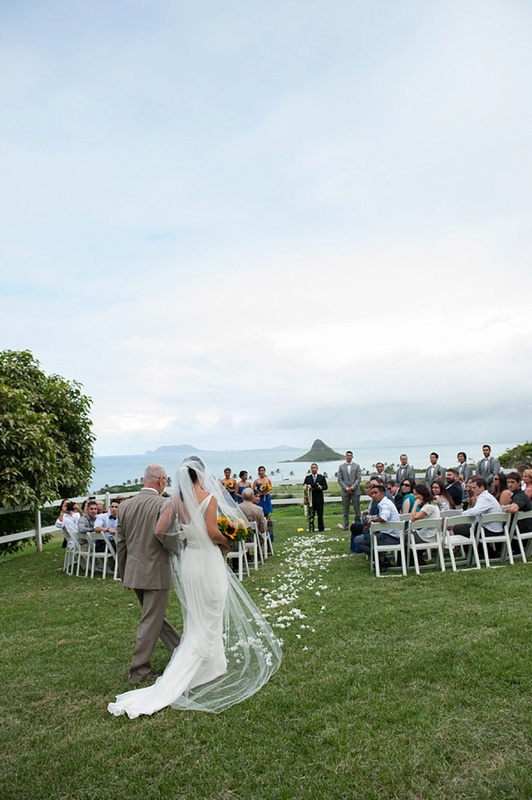 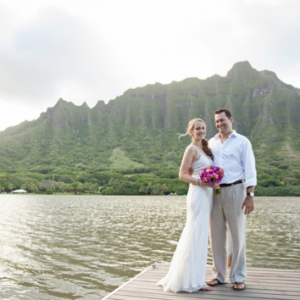 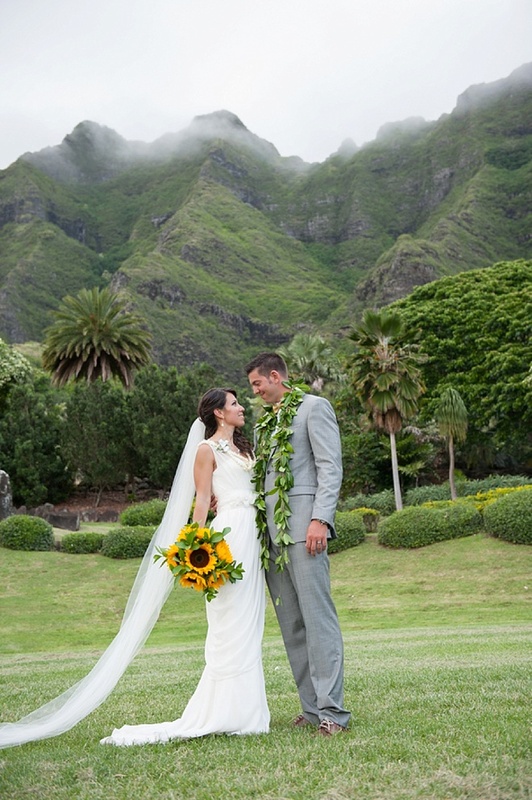 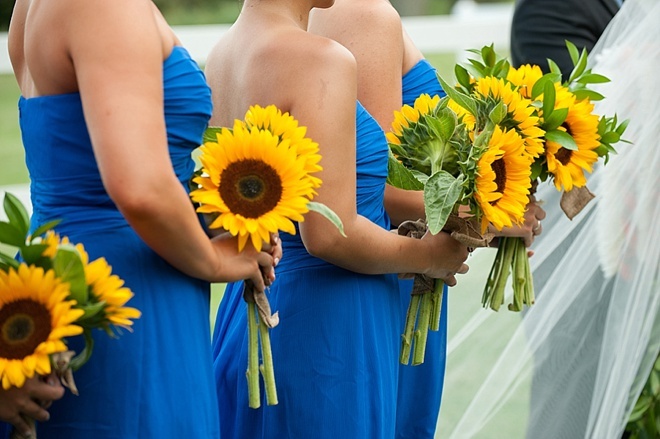 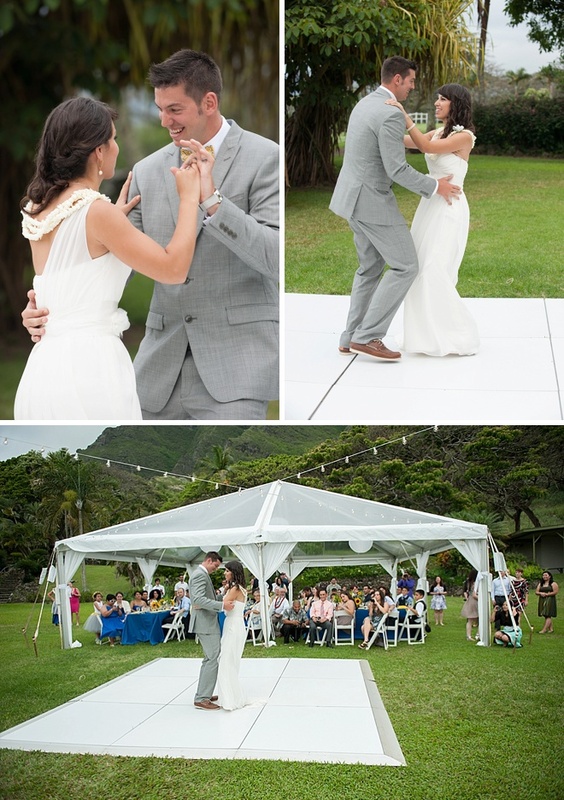 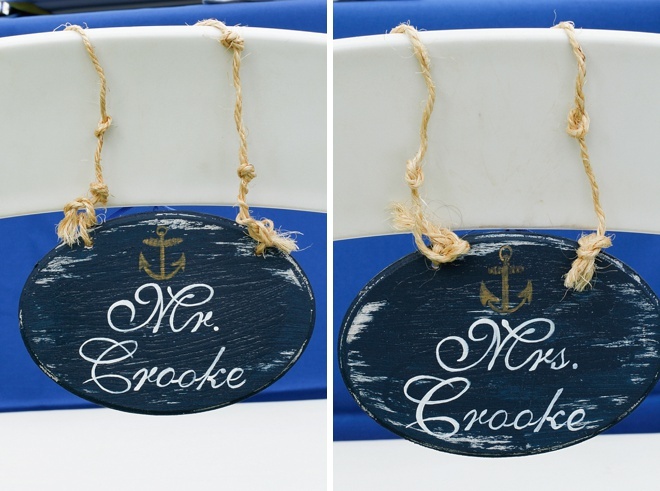 Tim & Laura planned a beautiful DIY wedding in Hawaii! 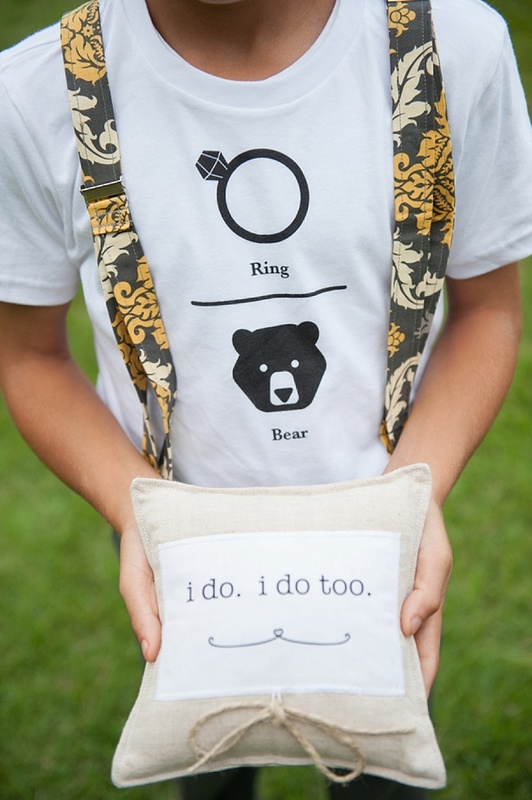 It would have to be the moment when my dad gave me away. 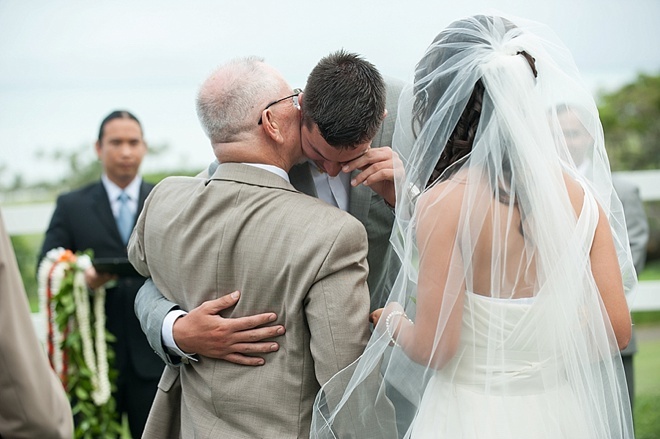 Tim and him shared a special embrace that made me feel that both of them truly loved me and my dad was giving me away to a man that has just as much love as my dad has for me. 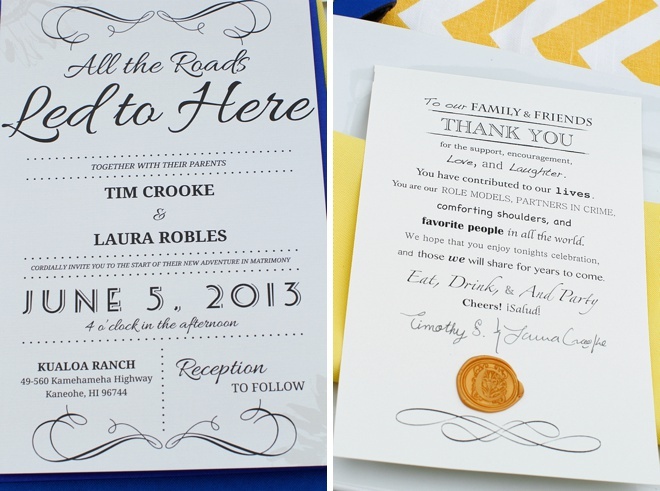 My dad drew the invitations and Tim designed the font. 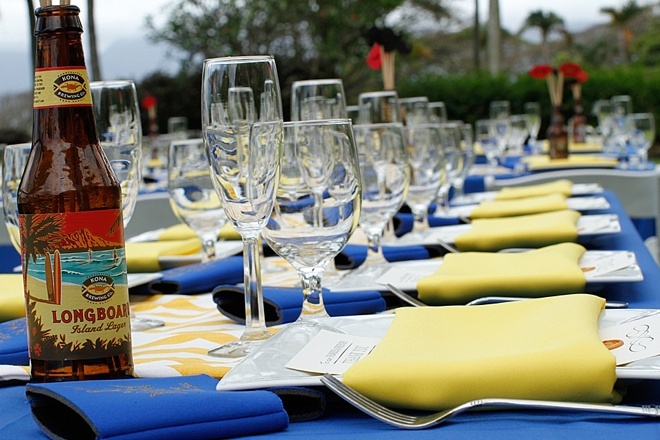 We printed and stamped all the table thank you cards. 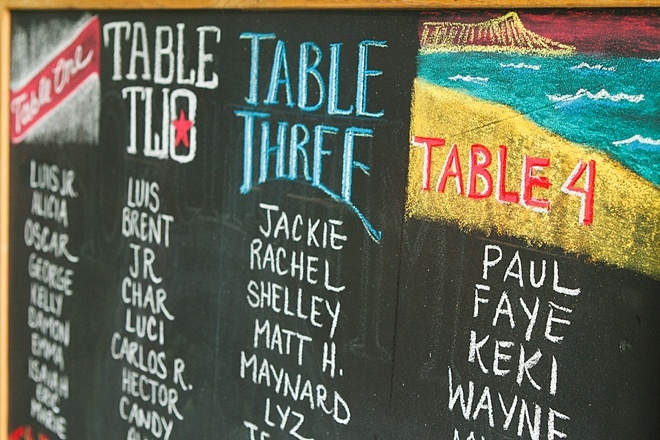 The chalkboard frames for the tables and the Dr. Seuss frame were also handmade but not by us. 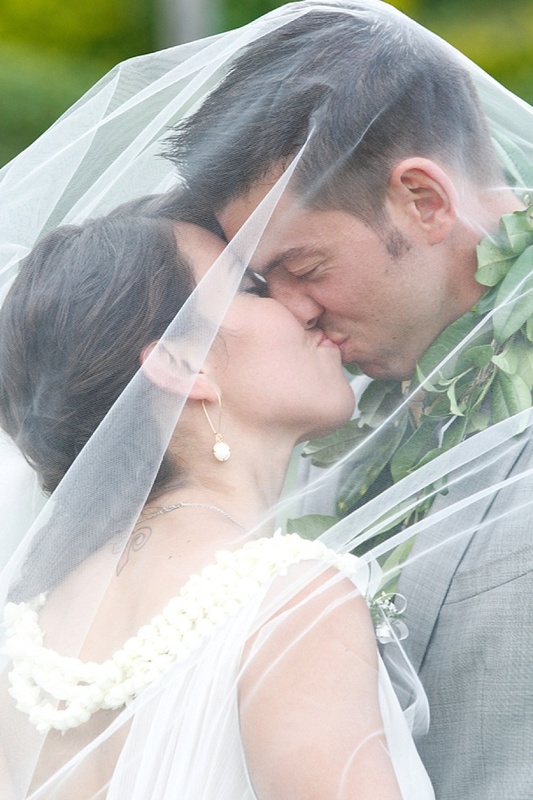 We made our own guest signing book from pictures of our relationship vs doing a photo shoot one. 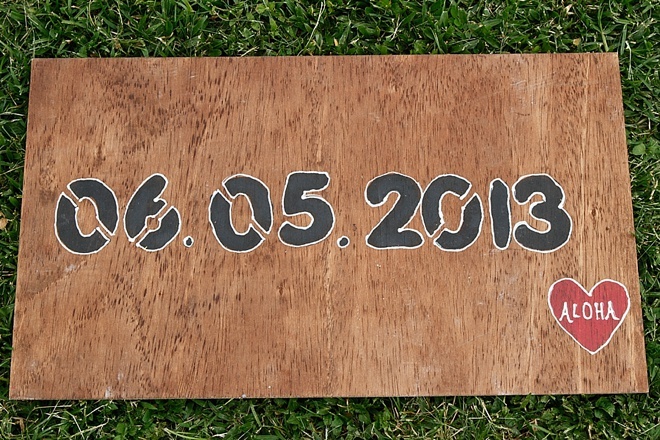 We stained and made the 6-5-13 sign and also used that sign original for our save the date cards. 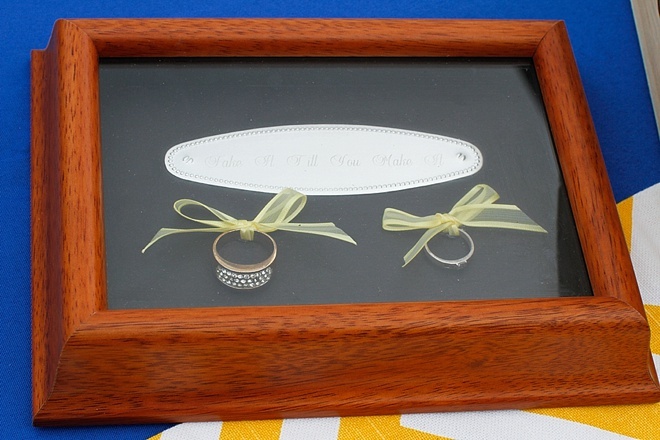 There is a frame with two cheap rings from vegas that says fake it till you make it… I made that from our fake rings we got in Vegas. 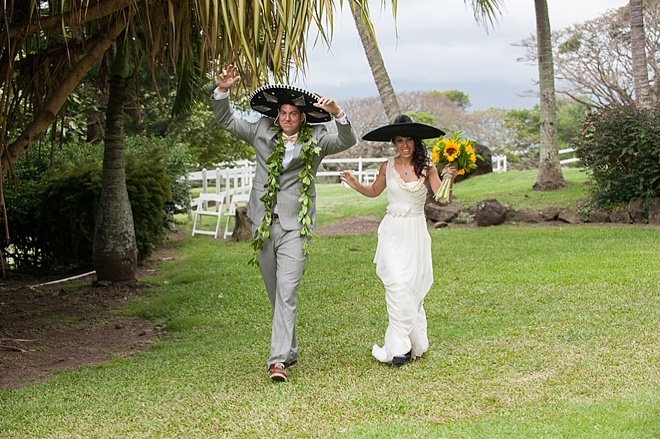 We came back home and told people we got married. 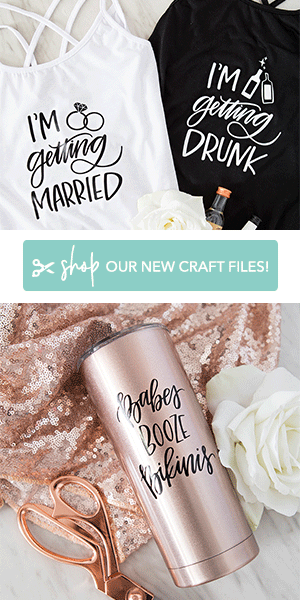 One of our friends believed us for 3 years. 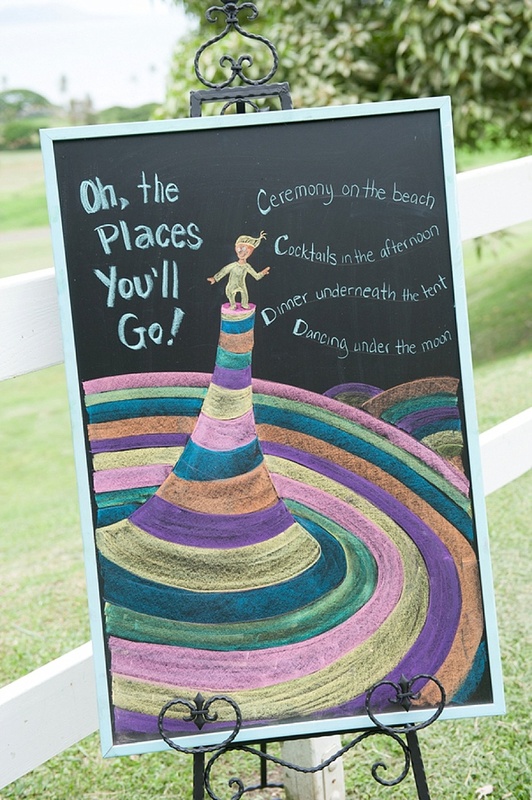 I water colored the picture on the sign table from a picture from our engaement (same picture on our invite). 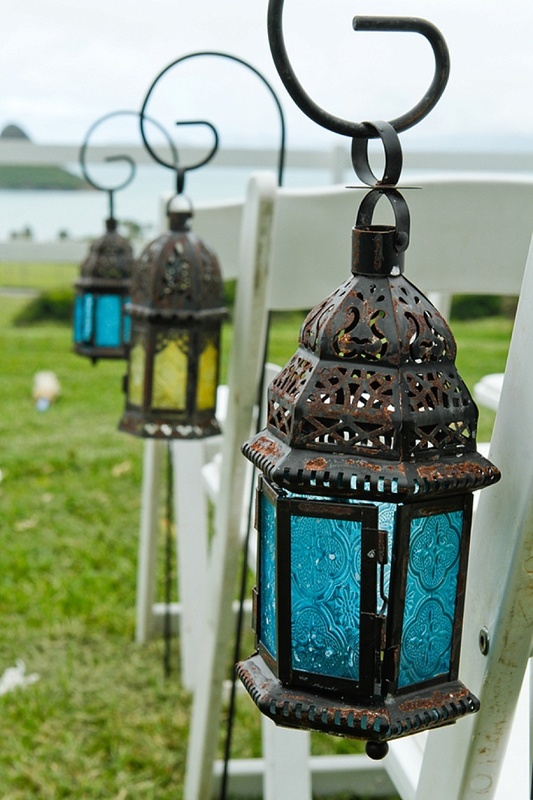 We sanded down and rusted the lanterns. 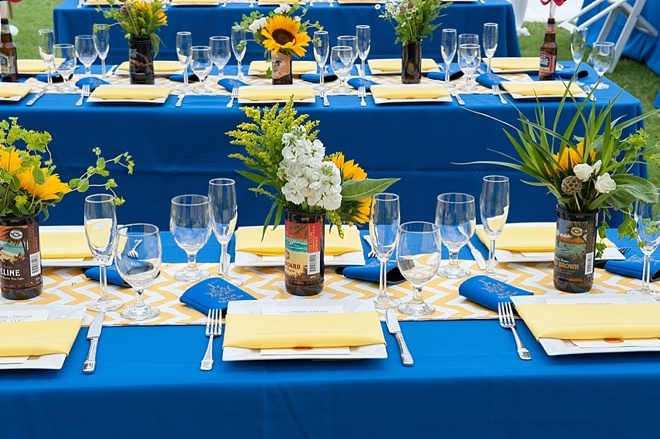 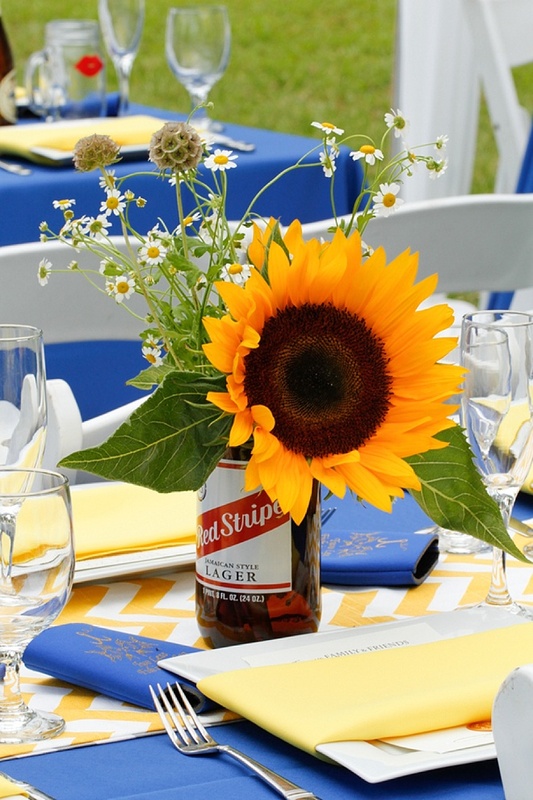 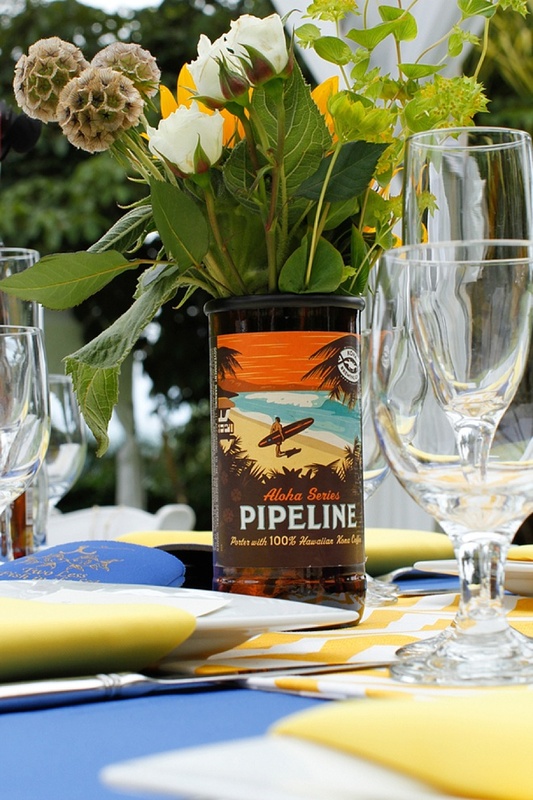 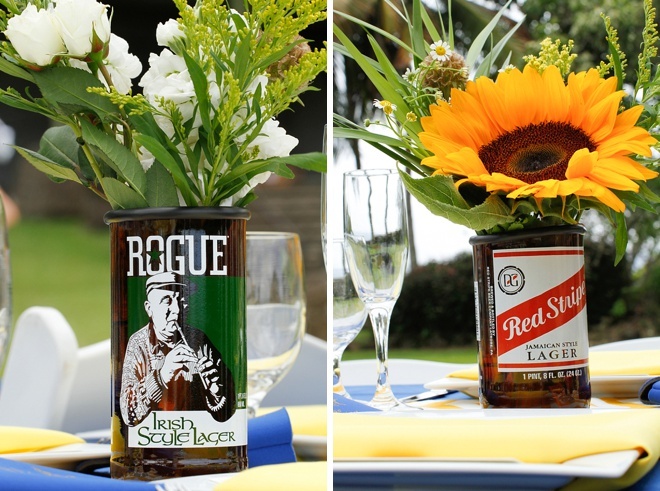 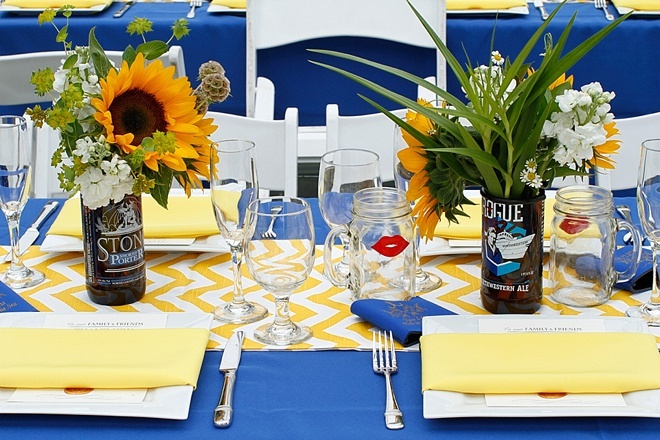 And lastly, we made beer vases for our table centerpieces each table was named after a craft beer.